The condition of children in Canada is one of the best in the world. However, not all benefit equally from these rights. In fact, children living in rural and remote areas as well as children belonging to indigenous groups are subject to greater inequality. These children are, more so than those in other parts of Canada, subject to discrimination, poverty and violence. Indigenous children are victims of grave acts of racism. They are harassed, threatened and sometimes beaten by those who cannot tolerate differences. Nevertheless, discrimination against indigenous peoples is recognized. In fact, in 2008, the Canadian government publicly apologized for the treatment these children endured in the “residential Indian schools.” Moreover, for the past few years, the government has allotted 10 billion dollars to programs intended to help indigenous populations. The government has also promised to implement a law on the education of the First Nations in September 2014 at the latest. This law, still in the drafting stage, would aim to set up a stronger and more responsible education system on the reservations so that indigenous children may at last have access to the same opportunities on the job market. The mistreatment of children is a significant problem in Canada. Article 43 of the Criminal Code of Canada provides that: “Every schoolteacher, father or mother, or any person replacing the father or mother, is justified in using force to discipline a pupil or child, as the case may be, entrusted in his or her care, provided that the force used does not exceed reasonable bounds in the circumstances.” The notion of “reasonable bounds” is vague, and its interpretation may vary markedly from one individual to the next. The question of the constitutionality of this article has often been raised. However, the government has never considered repealing it. While Canada shows great concern for children’s welfare, in this case, it demonstrates a legal weakness in opposition to the principles stipulated in the United Nations’ Convention on the Rights of the Child. Nevertheless, Canadian children will have more opportunities to improve their socioeconomic status than the previous generation thanks to the measures implemented to improve education and combat poverty and mistreatment. In Canada, there’s access to universal health care regardless of status, income, employment, health, or age. The administration of the heath care is done on a province to province basis. In Canada anyone can get health care, as long as the person is a resident of Canada they will receive some level of health care. However in rural and northern communities, the life of the population have higher rates of deaths as well as infant mortality. Due to the lack of knowledge about health issues, the rural areas have very little accesses especially on health education. This translates directly to a lack of education and equal access to appropriate and adequate healthcare for all citizens including children. On top of that, Canada has been proven to be one of the best in health care system in the world despite some of the flaws here and there. All children have the same rights. However, their rights are often violated in many countries, and children do not always benefit from the same rights, due to factors such as racism, sexism, homophobia and class system ranking. In Canada, there is an ongoing movement to diversify and unite children of all cultures, languages, identities and sexes. 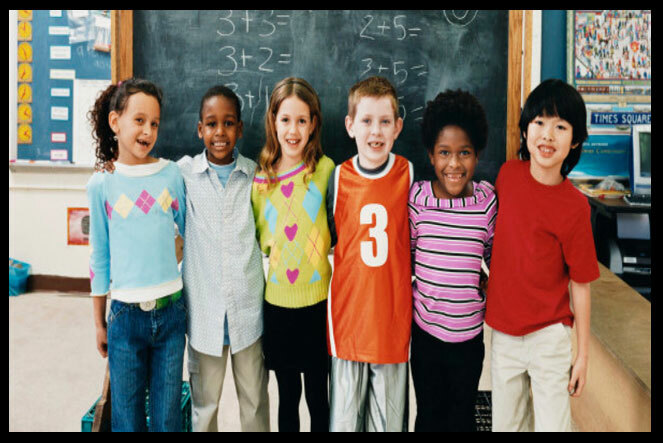 As children in Canada, they exert their right to an education, to be safe, to learn to flourish as an individual and to be a contributing positive role model for society. Although Canada may have its flaws, it is proud to be a multicultural country and promote strength in diversity across its nation. Canada is far from being perfect, therefore there is, and always will be, room for improvement.